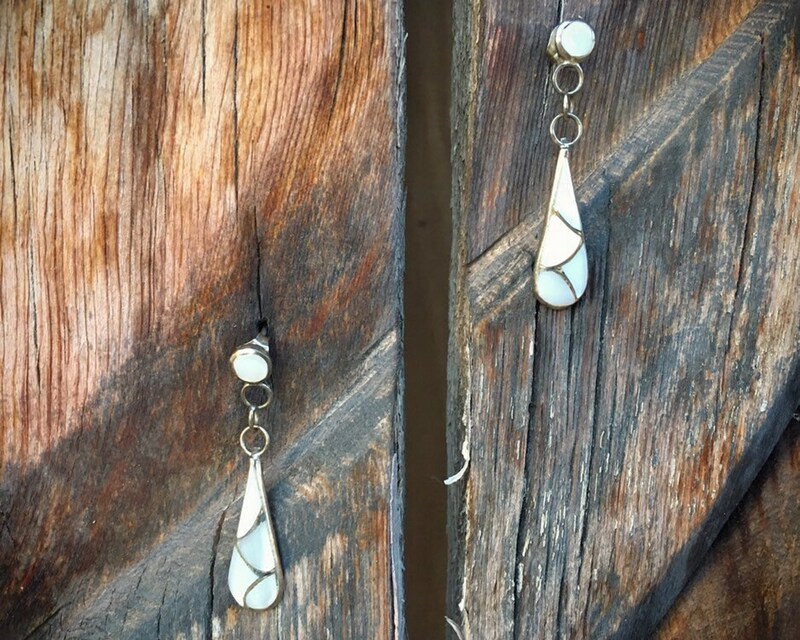 These Mother of Pearl earrings are small and sweet, in two articulating parts. 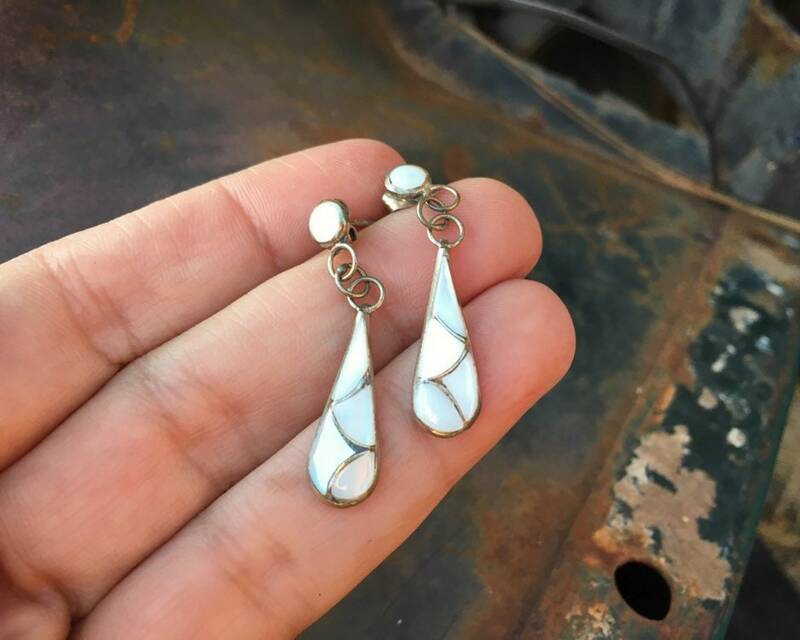 They feature a fish scale channel inlay design on sterling silver foundations. 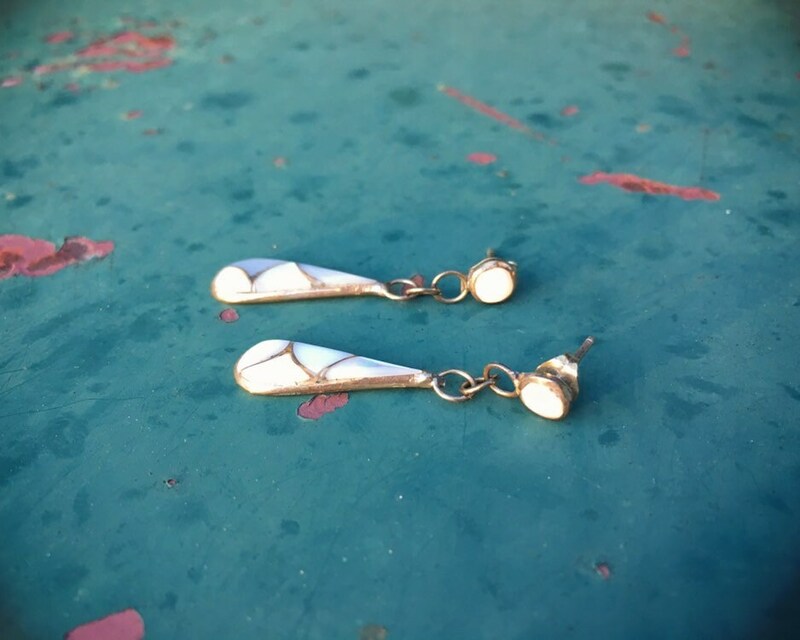 They are fairly small--you might want to draw out the measurements on paper to be sure you're not disappointed by the size--although the dangling luminescent white gemstone is visible, as well as versatile. 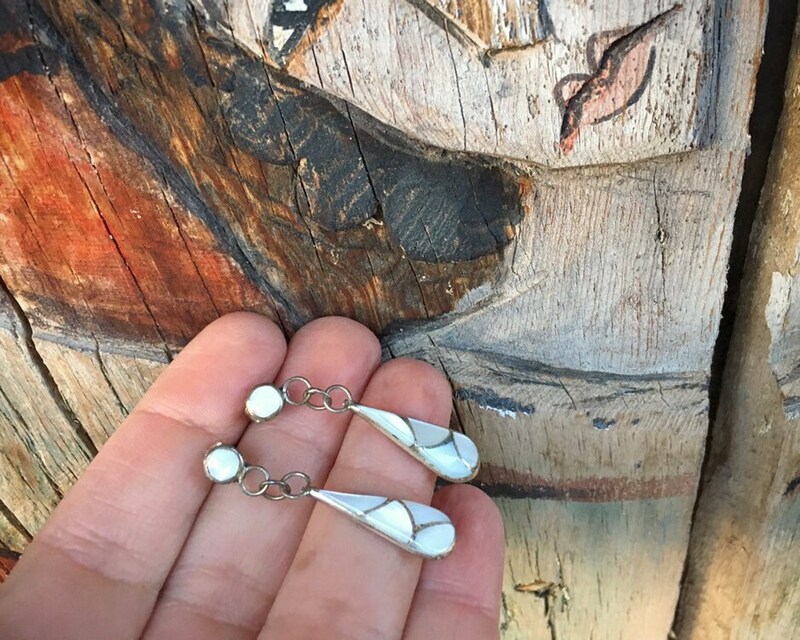 Signed on the back in dremel by the artist, S. B. Zuni. 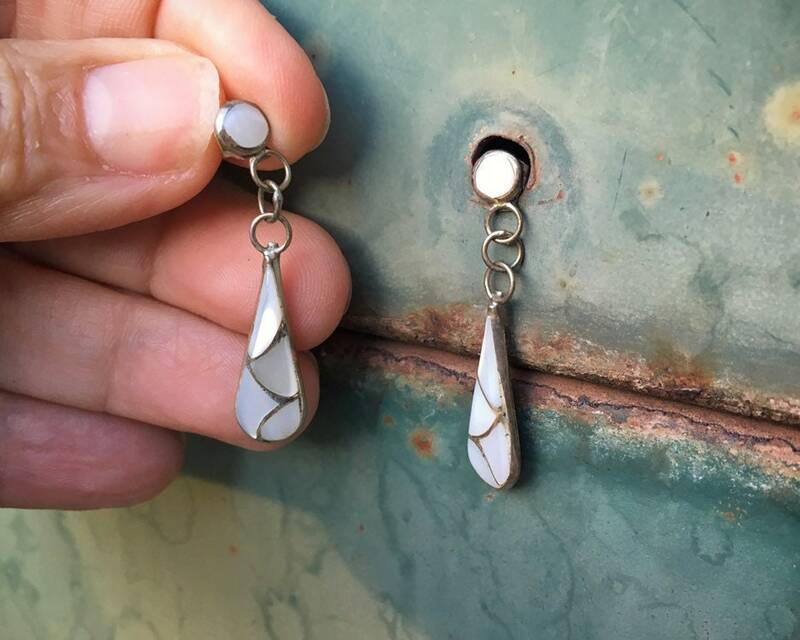 The earrings measure 1-1/2″ long by just over 1/4" wide at the widest point. Some small scratches on the back of the silver from age and wear.